Please note that the content of this book primarily consists of articles available from Wikipedia or other free sources online. 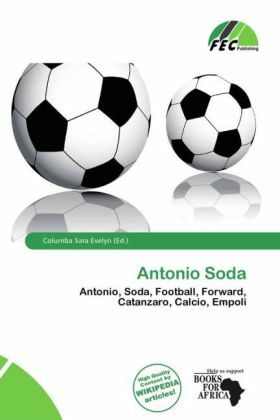 Antonio Soda is an Italian football manager and former striker who last served as head coach of Benevento Calcio. Soda started his professional career with Catanzaro, where he played from 1982 to 1988. He then played for several Serie A and Serie B teams, such as Bari and Palermo. He retired in 1997. Most memorably, he scored on his Serie A debut in Bari's 2-0 home victory against Juventus on November 25, 1990.